Welcome to Monitor. A belated Happy New Year to you all. 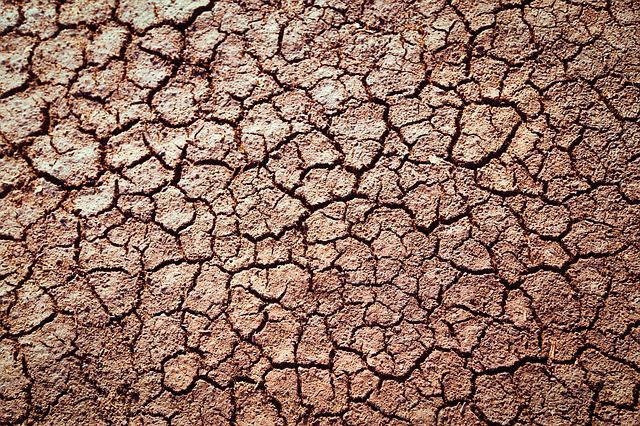 This month a story of how researchers are investigating the drying and cracking soils; logging weight data; using Excel in Europe and the news round up. * Can the Windmill software interface my Ohaus Balance? Exploring desiccation cracks in soils using a 2D profile laser device. Sanchez, Marcelo; Atique, Alvis; Kim, Sewon; Romero, Enrique; Zielinski, Marcin. In: Acta Geotechnica, Vol. 8, No. 6, 2013, p. 583-596. Can you confirm that the Windmill software can interface with my Ohaus Ranger 3000 balance or not? Yes. You you can use the free ComDebug software to collect data from an Ohaus Balance. Download ComDebug and enter the settings which your balance is using. The Default settings for a Ranger 3000 are given on our web site. You can change these with the Ohaus COM1 menu. 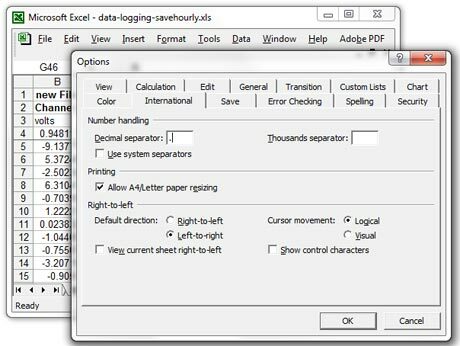 A engineer from Belgium is using Windmill to collect data and automatically send it to Excel. However, like in many European countries, he has his system set-up to use a comma as the decimal separator. His measurement device though sends the data using a decimal point. Windmill captures this data and sends it to Excel, still using a decimal point. Once in Excel it remains as 10.0 (for example) rather than being shown as 10,0 and any calculations and formulae applied to the data won't work. 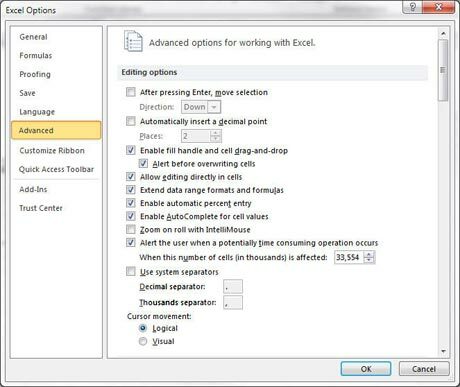 Our customer wanted to know if he could change the settings in Excel to show the data from Windmill with a comma, without changing them in the rest of his system. In a novel twist in cybersecurity, scientists have developed a self-cleaning, self-powered smart keyboard that can identify computer users by the way they type. The device could help prevent unauthorised users from gaining direct access to computers. Consumers are losing money in the form of wasted energy, which is leading to more costly power stations and more distribution infrastructure being built than we would otherwise need - not to mention all the extra greenhouse gases that are being emitted. The bulk of the wasted energy comes when devices sit idle in standby mode. While in that mode they often spend energy to maintain a network connection, rather than actually going to "sleep" and using very little. There are easy and often cheap technical fixes to this issue available today. TechNavio's analysts forecast the Global Sensors market to grow at a CAGR of 9.2 percent over the period 2013-2018. Research collaboration will address the emission of harmful gases like sulphur oxides (SOx), nitrous oxides (NOx), particulate matter and greenhouse gases - in particular CO2 - from ships' heavy fossil fuel burning combustion engines. The International Earth Rotation and Reference Systems Service (IERS) has announced that a leap second will be added to Coordinated Universal Time (UTC) at the end of June this year.